The misadventures of the hard-partying lemur and his jungle friends before the events of the 2005 film Madagascar. 30. 3-4                 17 Jun 16   Oh Brother Where Aren't Thou? 42. 4-3                 11 Nov 16   Who Arted? 47. 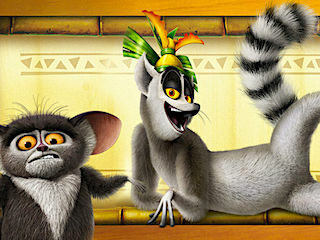 4-8                 11 Nov 16   King Julien Superstar!